If your production site could be kept under glass, you wouldn’t have to worry about the introduction and, consequently, the spread of viruses and bacteria. Because of the nature of your production, controlling pathogens is one of the key elements in maintaining a healthy crop. 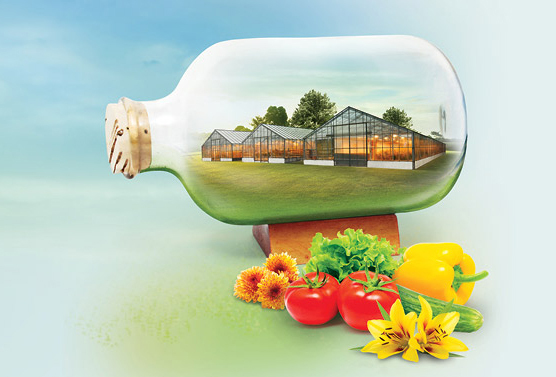 Our Greenhouse Biosecurity program is also available in video. Cleaning and disinfecting your buildings and equipment (waterlines, header tanks, benches, walkways, etc.) will help minimize the risk of spreading disease by ensuring that your environment is a place where biofilm is regularly attacked and eliminated. 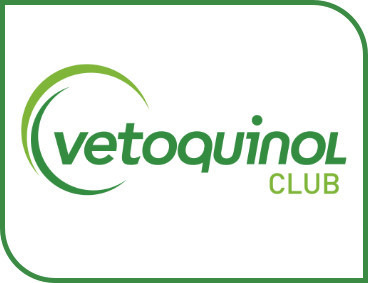 Contact your Vetoquinol biosecurity technician to get more information on the negative impact of biofilms on your production and how to get rid of them. REMINDER - This protocol is for greenhouses that have been cleared out of plants. You can access our Continuous Protection Program for when plants are present here. The removal of all gross organic matter is essential because refuse contains high levels of contamination and is a major source of infection. High levels of soiling will also reduce the efficacy of the cleaning and disinfection process. • Remove all crop debris, clips, “nutrient base or culture media”, strings, etc. • Caked soiling should be brushed, scraped, or power-washed if necessary to aid removal. • Remove any trash piles in the greenhouse. • Make all necessary repairs and upkeep. • If water is used in this step ensure that the room or building is reasonably dry (eliminate excess water on floor, walls, equipment) before moving on to Step 3. All water systems contain some contaminants, especially the header tanks where dust and dirt can accumulate. This may allow micro-organisms such as Pythium, Fusarium and Phytophthora to pass on from one crop to the next. Cleaning with an appropriate cleaner targeting the challenges present in the closed or open water system followed by an appropriate disinfectant will ensure that the water system carries only what you want to the plants. • Ensure that treated waterline is not supplying water to plants in another room or building during the cleaning process. • Choose an appropriate detergent (depending on waterline issues: organic matter or mineral deposits). • Prepare stock solution to ensure proper dilution rate and quantity to be used. • Inject solution into waterline or fill header tank. • Circulate to ensure product is present everywhere in the waterline. • Let stand (soaking time depends on condition of the waterline). • If required, repeat these steps using an appropriate disinfectant. Equipment removed from the greenhouse can carry heavy pathogenic contamination and if not thoroughly cleaned it can lead to carry over to the new crop. • Wash or dip trays, pots, containers and other equipment using an appropriate detergent. • Rinse and allow to dry. • Apply a disinfectant solution. • Ensure proper dilution rates are respected. Following any dry cleaning or gross organic removal process (Step 1), high levels of contaminated material will still remain. Cleaning using an appropriate detergent will help remove soiling and biofilms (organic and mineral) from the surfaces. You also want to remove proteins as well as fatty acids and ensure that no greasy deposits (biofilms) remain on porous surfaces. Detergents help reduce the contaminant load on a surface and will also reduce the required time for the cleaning process, and minimize spread of disease in washing water. • Use a power-washer set at a low pressure and a large opening tip to apply detergents. • The dilution and application rates should be in accordance with the detergent’s label in order to apply enough detergent solution per square meter of surface area. If you are using an injection system, ensure to prepare stock according to ratio of injection. • Start at the apex of the roof and work down the walls to the floor . • Pay particular attention to corners and other areas where algae and scale accumulates. • Leave detergent solution soak for 10-15 minutes. • Detergent solution should be removed by rinsing before it dries. → Thoroughly rinse with water to remove detergent and any remaining organic or mineral deposits using a pressure washer or by scrubbing and rinsing. • Let dry (eliminate excess water on walls, floor or equipment) before moving on to Step 6. Although cleaning will eliminate over 90% of contaminants, what is left will be more than enough to be dangerously harmful to your next crop. Using a proven disinfectant effective against your challenges is essential. • Ensure there is no excess water on floor, walls and equipment before moving on. • Choose an appropriate product according to ambient temperature, presence of specific pathogens and contamination level. • Using a portable sprayer or a pressure washer or other equipment (at a low-pressure setting), apply the appropriate disinfectant to all surfaces. • The dilution and application rates should be in accordance to the disinfectant’s label in order to apply enough disinfectant solution per square meter of surface area. • Pay particular attention to corners, cracks, seams and porous surfaces. • As with the detergent application, start from the apex of the roof and work down the walls to the floors. • Make sure all equipment is disinfected before returning it to the greenhouse. • When finished leave the area and allow to dry. When the greenhouse has been thoroughly cleaned and disinfected, all moveable equipment should be returned. To disinfect inaccessible areas of the greenhouse that might have been overlooked, the greenhouse can be fogged. It is particularly important to fog the reception and storage areas. • ​Using an appropriate disinfectant solution, disinfect by using a mechanical fogger or a thermal fogger. • Use disinfectant according to manufacturer’s label recommendations and application rates. • Ensure that adequate downtime is respected before entering the greenhouse. Cleaners and disinfectants should never be used directly on plants, seeds or soil. Allow surfaces to dry before bringing new plants into the greenhouse.